A stone bridge built in the early 20th century sits at the intersection of Route 46 and 56 Evergreen Ave. in Westport. WESTPORT — The tension between historic preservation and modern engineering has once again been pulled taut in Westport, this time over the fate of the town’s nine Craftsman-style stone bridges built in the early 20th century. “These bridges were the town of Westport’s answer to the automobile age,” Morley Boyd, a historic preservationist in town, said. Boyd served as the lead on a petition asking the Westport Historic District Commission to consider nominating the nine stone bridges for designation on the National Register of Historic Places at the HDC’s Jan. 9 meeting. The HDC unanimously agreed to explore preliminary steps for garnering historic status for the bridges. “A lot of people are beginning to feel that when things are replaced around here, the scale of the thing that replaces the other thing is overwhelming. People complain about things being overdone. This started with the idea that let’s conserve the things that align with the scale and character of the community. That seems to resonate with the public,” Boyd said of his motivation for the petition. Boyd’s effort comes on the heels of the Westport Public Works Department’s renewed interest in the historic character and safety of the bridges, seemingly in preparation for possible bridge renovations. Last year, the Westport Public Works Department commissioned Bruce Clouette, a senior historian with Archaeological and Historical Services Inc., a cultural resource management firm in Storrs, to complete a historical analysis of one of the town’s most famous bridges — the Kings Highway North1 Bridge over Willow Brook. “Throughout Fairfield County and elsewhere along the Connecticut shore, rustic stonework appeared as a decorative element on small bridges in order to complement, or even create, the sense of a park-like setting. In the early 1900s, many towns, including Westport, had village-improvement societies that promoted roadside plantings, parks, fountains, and a scenic approach to public works,” Clouette wrote in his report situating the Kings Highway bridge among similar early 20th century rustic Connecticut bridges. Westport built 19 Craftsman-style stone bridges in the early 20th century, but only nine remain. Clouette said the bridges appear to qualify for the National Register, but warned the bridges may not meet modern standards for roadway safety and emergency vehicle access. An inherent conflict exists between the goals of replacing infrastructure for public safety and preserving something in its historical context, Westport Department of Public Works Director Peter Ratkiewich said. HDC chairman and architect Randy Henkels said he understands the dilemma of historic preservation verse modern engineering, but believes in many cases the bridges can be preserved or modified to meet modern safety standards and will still retain the bridges’ original character. The road to historic designation is long, and, at this point, the HDC is only seeking grant funding to study the bridges’ historic character, information they will use to decide whether to further pursue historic designation. The Board of Selectmen and Board of Finance will need to sign off on any efforts to pursue grant funding to study the bridges. 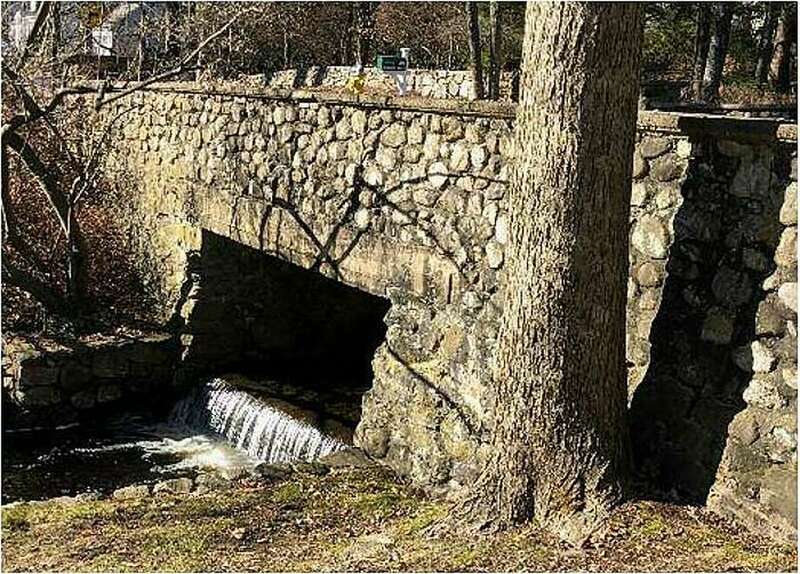 First Selectman Jim Marpe said he will use the initial analysis to inform his efforts to balance historic preservation, public safety and fiscal concerns when it comes to restoring the stone bridges. Tom Hood, a 25-year resident with degrees in architecture and civil engineering, has taken a special interest in the bridge issue and attended several HDC meetings on the topic. “My opinions have changed a couple of times over the course of it,” Hood said and noted, at the beginning, he thought more like a civil engineer concerned with public safety. “The bridges are outmoded for the size of the vehicles we have in town now. Because they’re not generally made of steel, with a reinforced concrete deck, the limits of how they perform now and how they can be restored are limited. I would hate to see someone die,” Hood said. “Then I started to think of it as a historic fragment and how all this stuff is being wiped away,” Hood said, suggesting the historic bridges can be preserved as long as the town surveys other bridges capable of serving as support roads for emergency vehicles during emergencies. Hood said he hasn’t made up his mind on what should be done with the bridges. “What do you do? That’s how I would summarize my thoughts. It’s the burden of having both an engineering degree and an architectural degree,” he said.